With a full card of exciting amateur fights to be announced this week, Shuangjing Showdown presale tickets are now available! The afternoon of April 18th promises exciting amateur Boxing and Muay Thai fights, plus free flow beer, music and delicious barbecue. It's all happening at Pingguo Beiqu International Art Street. 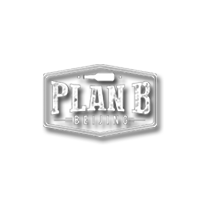 Tickets are 200 RMB (includes admission to all the fights and all you can drink draft beer) and are available at Plan B. 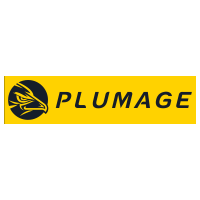 Note: We are now delivering tickets free for orders of 5 or more. To order tickets or request more ticket information, please write to shuangjingshowdown@outlook.com for details. 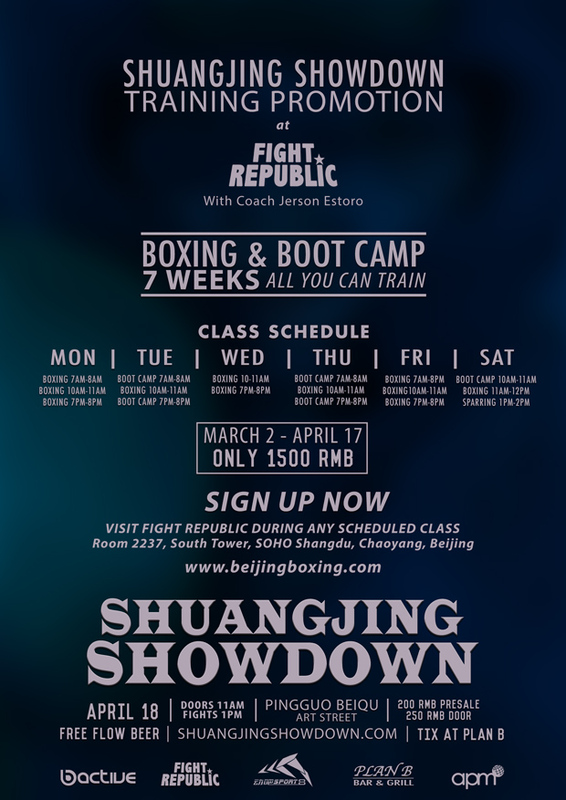 B Active and Fight Republic gyms have announced special Shuangjing Showdown Training Promotions, running from March 2 - April 17, right up to the fight. 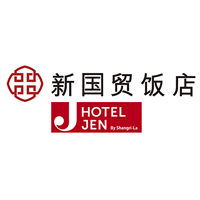 It's all you can train, any classes you like six days a week for only 1,500 RMB. These are the lowest rates in town, so if you're carrying around some extra holiday dumpling weight, now's your chance to get in the best shape of your life. To sign up, just walk into either gym during a scheduled session and ask for a free trial class. The class schedules are listed in the images above. Note that Muay Thai classes are held at B Active's San Li Tun location, while Boxing and sparring are both at Chaowai SOHO. All of Fight Republic's classes are held at SOHO Shangdu. Happy training!